How to better understand the workings of your camera, how to control lighting, posing and how to hone your skills in order to become a better photographer are a few topics that would be covered in this course. Each topic is described using friendly, easy-to-understand terms and the knowledge thus gained can be put into practice.The digital photography diploma course has been designed by an expert in the field and provides you with the skills, insight and knowledge that help to widen your expertise in the field of photography whether it is to take better family pictures or to go one step further and start your own business.Everything that you need to know about digital photography and how to take the perfect picture will be taught to you in this comprehensive and exciting digital photography diploma course. Photography is not just an art that allows you to unleash your creativity but also an exciting hobby which you can put to use in numerous avenues such as travel, meeting people and making money. It’s not much of a surprise that a number of people are eager to take a camera and start a career in photography.The use of SLR cameras better known as Digital SLR or DSLR cameras is one area of photography that has become very popular. Due to their simplicity and ease of use, many amateurs and snappers in the past preferred to use point and shoot cameras. The SLR camera was mainly used by professionals and those who considered photography as a serious hobby. Nowadays, it is very common to see at least one person carrying a DSLR camera in any street of any city in the world.Using different shutter speeds to capture moments. Capture beautiful views with better quality. The days of limited options for taking photographs and also waiting for days to get those pictures developed are long gone. Digital imaging has seen huge progress. Click photos a number of times and these digital images can even be manipulated and modified using the latest technologies.Photography is not a waste of time and thereby should not be rushed. Work at your own pace to become a good photographer. 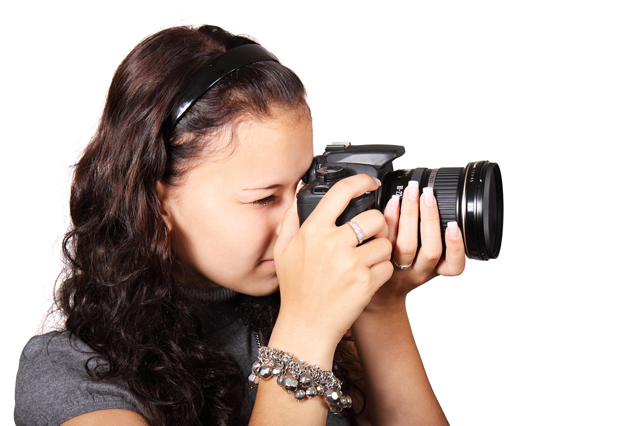 Start with taking photographs and work to find your own style of taking photographs. Discover beautiful subjects and take photographs as often as possible. Make a small beginning; every successful photographer started small before they achieved success. Most importantly believe in yourself.